Most businesses small or large do not have in-house expertise to custom design websites themselves and will need to contract the work out to an external web design company. The importance of a professionally designed website is essential. A poorly designed or outdated website can have a negative impact on a company's brand and drive customers away to competitors. A company's website is a window to its products and services and more often than not, the first point of contact with customers. It's important for a business website design to convey the company's quality of work. If the company's website does not have that professional look and feel, does this reflect on the actual business itself? First impressions count. It’s said that potential customers decide within the first 30 seconds whether or not to leave a website. With only 30 seconds, it is vital for your website to present the right image and brand for your business. Compare the quality of designs with the design prices. Take some time to go through their portfolio page and visit the actual websites themselves looking not only at the quality of the design but the quality of the pictures that are placed within the website. Check the websites functionality. Are they easy to navigate? Is the menu system consistent throughout the website? Compare apples to apples when your comparing prices! What's included in your website quote? How many pages (Home, Services, About Us etc) is included in that price? Will they supply a contact form on your site or is that an extra cost? Does their price include website optimization or is that an extra fee? What will future changes or additions cost? Is there any enhancements included in that price? Does the design company offer hosting services? What's included in their hosting prices? What's included in their hosting packages i.e. do they offer website statistic tracking, company email account programs etc. Hosting plans vary in price because of hosting services they provide vary. Get References! 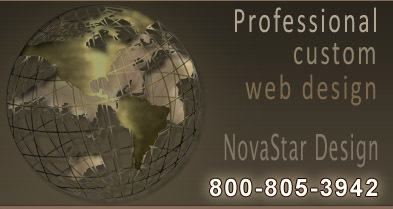 Contact the web designer's existing clients before going with any web company. Again, you can find their references by going through their portfolio. Most websites have an email, phone number, and/or a contact form. Don't be afraid to contact their clients. They may or may be happy with their design, they may or may not be happy with the follow up customer service after the site is live. Do they feel their designer went above and beyond? And most importantly, is the site generating new business, calls and leads? Don't be intimidated by the website designer's lingo. If a website company is speaking in terms you do not understand, do not be afraid to ask them break it down to you in laymen's terms. You should understand everything that they're quoting you in a design price and why. Don't Settle! You don't have to compromise quality for affordability. Chances are you will get very high quotes and extremely low quotes. Keep in mind this is your business website for the world to see and most often you will get you pay for. However, a simple 5 page informational website design should NOT cost you several hundreds or even thousands of dollars. The price will usually go up with the enhancements you choose for your website such as Flash, Music, Video, Blog, image viewers and so on. Compare apples to apples when comparing website design prices. Compare the number of pages on each quote, the overall design, the number of pictures within the website and so on. Then revisit the quality of work each company before making your final decision. Doing a little homework in the beginning will save you time and money in the end!